Find hotel near Museo Historico De Acapul .. This star fort in Acapulco built by the Spanish Empire during the 17th century is an important landmark of the city. The fort carries a rich history as it was built to protect the city from the pirates since Acapulco was an important trading port during those times. The original construction of the fort had an irregular pentagon shape. However, the renovated one is a regular pentagon with five bastions. The moment you enter the museum you will be able to sense how nicely the exhibits have been preserved and displayed. The guide shall explain you in depth the sequence of events which shall definitely interest your children. You can pay a visit for an interesting history class. Create a customized plan for your visit using the Acapulco trip planner. You can use ready templates or start from scratch for the same. Add comfortable hotels to your plan, choose from the recommended hotels in Acapulco like Holiday Inn Resort Acapulco, Copacabana Beach Hotel and Park Royal Acapulco-all Inclusive Family Beach Resort. Generate executable plans on your own or book the top rated Acapulco vacation packages for your visit. Read more on how to reach Acapulco. Love this? Explore the entire list of places to visit in Acapulco before you plan your trip. Fancy a good night's sleep after a tiring day? Check out where to stay in Acapulco and book an accommodation of your choice. How popular is Museo Historico De Acapulco Fuerte De San Diego? People normally club together Casa De Mascaras and Casa De La Cultura while planning their visit to Museo Historico De Acapulco Fuerte De San Diego. Awesome museum. Costs $4 American, and was super fun. The signs are all in Spanish and English. One of the best things to do straight across from the port. More history about old world Mexico. Very informative. And there's a small Tamayo art gallery. Reminded me of the fort under the Golden Gate Bridge in San Francisco. My wife and I took a cruise-ship excursion tour of the Fort. We enjoyed the tour a great deal. I would recommend the Fort to tourists interested in the history of the Americas, seeing artifacts from the Spanish conquest, and those who love a good view of an interesting city. 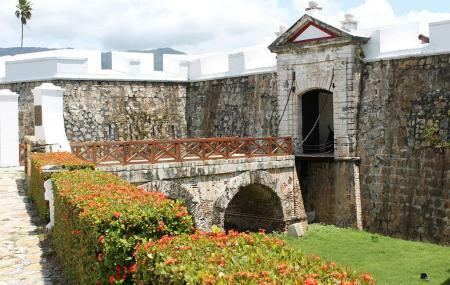 The fort is a good easy stop, I would reccomend seeing it before you get back on your ship as it is a short walk away. The signs are written in both spanish and english, you can walk on top of the walls and take spectacular photos of the skyline.